Our online course and professional learning formats are designed to accommodate your busy schedule and allow you to balance work, family, and life commitments while engaging in professional learning for yourself. The flexible assignments are manageable and have immediate application to the work you are doing in your school. Strengthen the work you are doing to advance the learning and teaching of mathematics in your school. 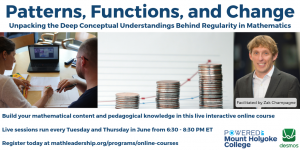 In this highly interactive online course, you will discover how the study of repeating patterns and number sequences develop the foundational understanding of functions. Collaborate with colleagues as you read tables and graphs to interpret phenomena of change and use algebraic notation to write function rules. With a particular emphasis on linear functions, you will also explore quadratic and exponential functions and examine how various features of a function are seen in graphs, tables, or rules. Develop a deep conceptual understanding of the mathematics. Learn how these ideas build across the elementary and middle grades. 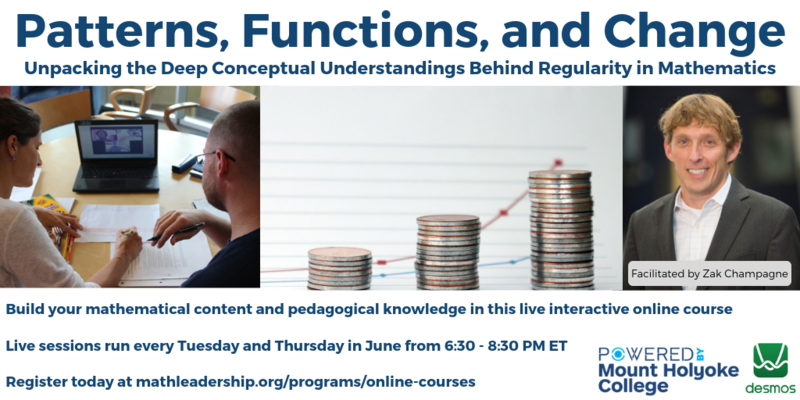 Learn how to represent functional relationships using tables, graphs, expressions, and models using traditional tools as well as Desmos. Explore the connections between constant and non-constant change and various types of functions (linear, quadratic, and exponential). Consider how the different attributes of functions appear in tables, graphs, expressions, and models, and what they mean in context. Interpret and create tables and graphs tat are derived from data-based phenomena of change such as temperature or growth over time. 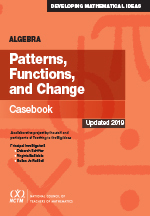 Participants will need to purchase the Patterns, Functions, and Change Casebook available from NCTM. *Participants will receive 2 graduate credits from Mount Holyoke College upon successful completion of the course. 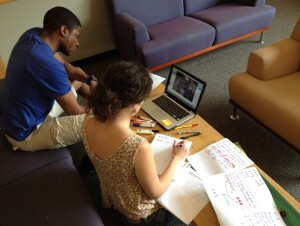 **Partner districts/organizations are those that contract with us for professional learning and/or consulting.